Green living is about more than driving a fuel efficient car or switching out light bulbs; you can also help the environment by reusing what you already have. During home improvement projects, this can include coming up with creative uses for the leftover material. As the experts at Canadian Comfort will tell you, many people throw out old windows once the new ones are installed. However, consider one of the following projects before you send those windows to the city dump. Use the old windows to create a whimsical backyard playhouse. If you have enough windows, it might be possible to construct the entire playhouse out of them. Use the window as a picture frame. You can attach clips to hang multiple pictures, or just feature one large print. For a little extra pizzazz, write a short message on the glass that complements the picture. Feel your backyard is missing a little something? 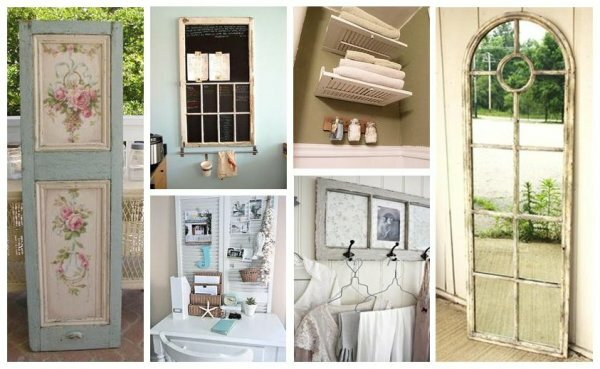 Just hang the window from a fence, hide it in a flower garden, or place it on a tree branch. The window frame will add visual interest without taking up too much space. Do you need a central messaging board for your household? Simply hang the old window on a wall, and attach a clip for a dry erase marker. The marker will write easily on glass, but wipe off with just a tissue. If you’d rather, place decorative paper behind the glass for more contrast. Simply screw in some sturdy hooks, and you have an attractive coat rack. For added functionality, switch out the glass for mirrors. That way, you can give yourself a quick look before you head out the door. Pick up some table legs at a local hardware store. Attach the legs to the window frame using brackets. Before you know it, you have a unique coffee table. However, you may want to distress the new legs a bit so they match the window. Visit a local craft shop and pick up some rolled cork. Glue it on the window frame’s glass, and you have an instant cork board. For something with more texture, glue actual wine corks on the glass instead. If you’re thinking about replacing your windows, don’t automatically dump the old ones. 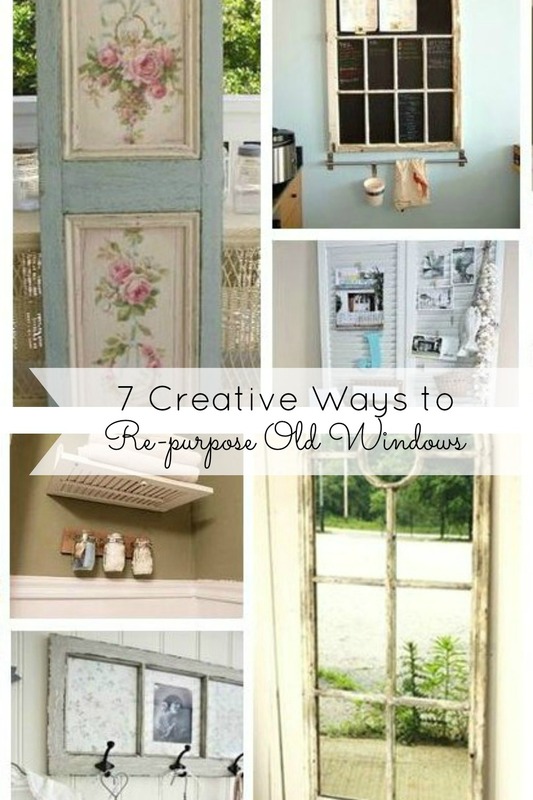 As you saw above, those old windows can be turned into something new and useful with a little creativity. Guest post by: Karleia is a freelance blogger and home décor enthusiast. You can follow Karleia on Google+.